If you are looking for a single book that explains the scientific method and encapsulates what some might call critical thinking or skepticism, then look no further. 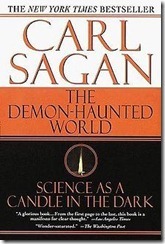 Sagan manages to convey convincing arguments for scientific explanations of strange phenomena without attacking or belittling believers in non-scientific explanations. He gives the impression that he is fascinated that someone could hold a belief that to him is so obviously false. The contrasting style that always came to my mind as I read this book was that of Richard Dawkins in The God Delusion. Dawkins’ book made me slightly uncomfortable – not for what he was saying, but for how he said it. 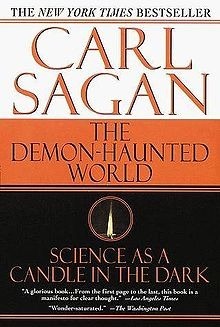 With Sagan’s book, I always felt that I was listening to someone who was calm, patient, and above all, fascinated with the mysteries of the universe and how mankind has tried to understand them. My city library has 12 copies of this book but I was not able to renew it because several people had placed reserves on it. I am not sure how many other 20-year old books are this popular. Read it! I am sure you will enjoy it. Copyright © 2019 Neil Notes. All rights reserved.